French: Pic de la Guadeloupe; German: Guadeloupespecht; Spanish: Carpintero de Guadeloupe. 9.4 in (24 cm), 3.1-3.5 oz (87-100 g); glossy black above and black with dull red overtones below. Sexes alike. 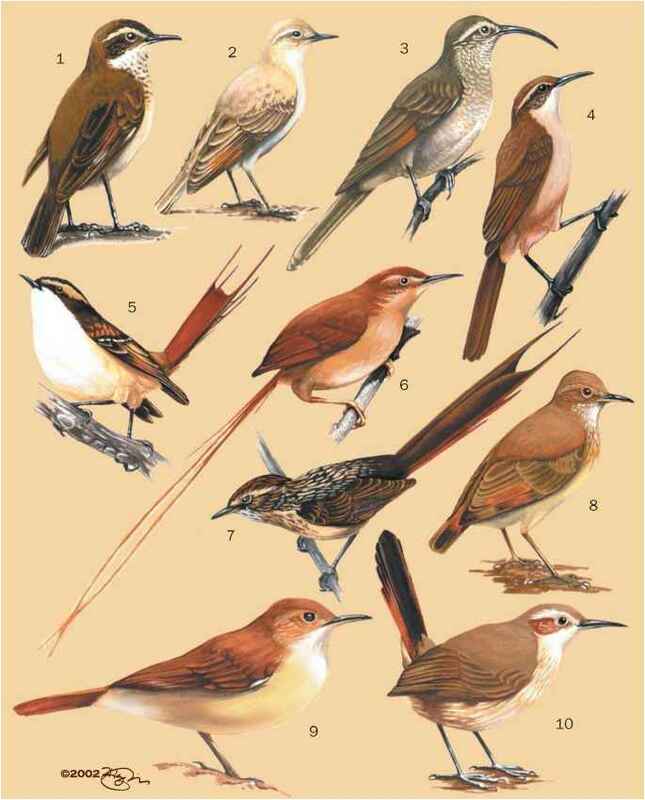 Juveniles less glossy and with dull red-orange tinge below. Found only in Guadeloupe in the West Indies; 75% of the population of 10,000+ birds are on the more forested island of Basse-Terre. 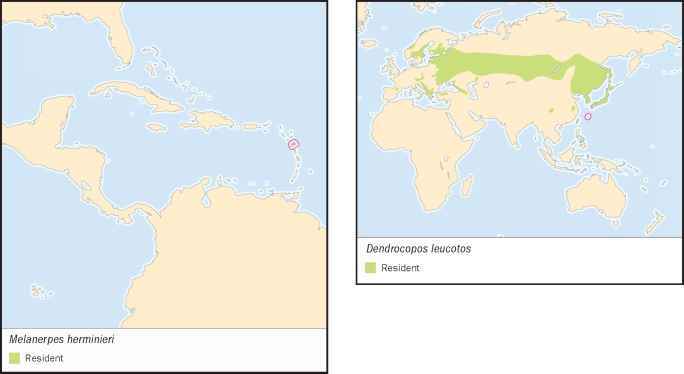 Semi-deciduous to evergreen forest, including upland, mangrove, and swamp forest. Moves deliberately through the forest; returns frequently to fruit-bearing trees. Forages mainly on trunks and larger branches; diet includes insects, fruit, and seeds. Typically excavates nest cavity in the trunk of a dead stub; nesting occurs February-August; both parents share incubation of 3-5 eggs; incubation period 14-16 days; young fledge at 33-37 days.